CASSANDRA MOORE is a dynamic performer, bringing the joy of the violin repertoire to a wide variety of audience members in the greater New England area. As soloist, Cassandra has appeared in performances on the North Shore of Boston in addition to giving a series of recitals for Madison, CT and the surrounding area. Cassandra has appeared in collaborative performances throughout New England and abroad, touring South Korea and Hong Kong with two quartets and larger string orchestra in 2017. Cassandra studied under the tutelage of Sarita Kwok and Susan Kim at Gordon College, receiving her Bachelors in violin performance in 2018. An enthusiastic chamber musician, Cassandra remains active in her pursuit of string trio, quartet, and collaborative piano repertoire throughout her graduate studies with Anton Miller. Cassandra has served as mentor for both Northeast Massachusetts Youth Orchestra and the Brooks School orchestra, in addition to teaching on violin faculty at Covenant Christian Academy in Peabody, MA. Her pedagogical philosophies include the influences of Darcy Drexler, Mimi Zweig, Carrie Rehkopf, Edward Kreitman, and of course Dr. Shinichi Suzuki. 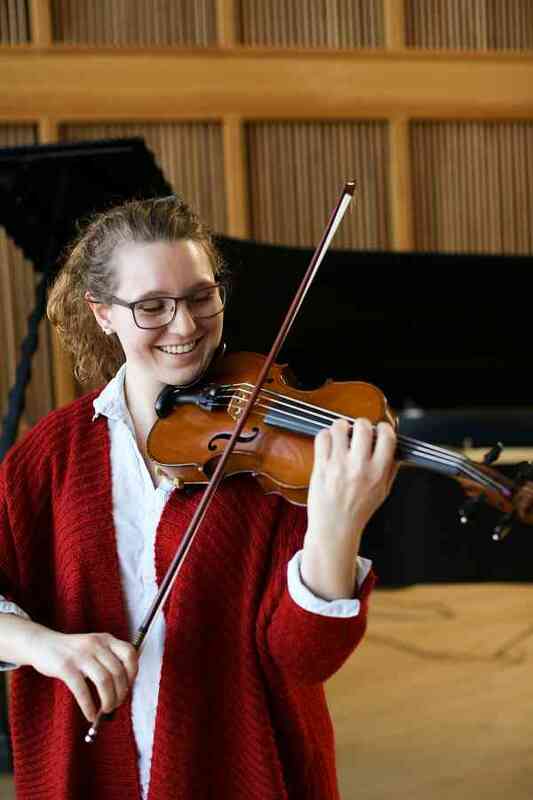 While pursuing her Masters in violin performance and pedagogy from the Hartt School, Cassandra is studying pedagogy under the instruction of Teri Einfeldt.